It is a requirement of your Agreement, that the goods are protected against Theft and Accidental Damage. We can arrange Theft & Accidental Damage Cover for £1.68 per week. It is a requirement that products purchased on a credit agreement are insured. We can offer Theft and Accidental Damage Cover for £1.68 per week. 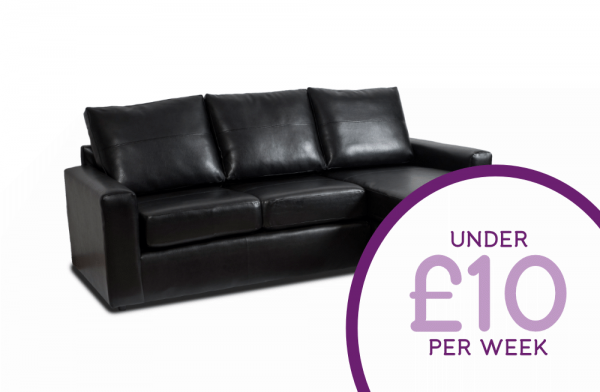 This Sara black bonded leather chaise is sleek and stylish. The simple design has been crafted to sit beautifully in any room. Sit back and relax with our low weekly payments.